Other places include the Community Cafe in the Square, Oldmeldrum and a notable supporter of Fairtrade. 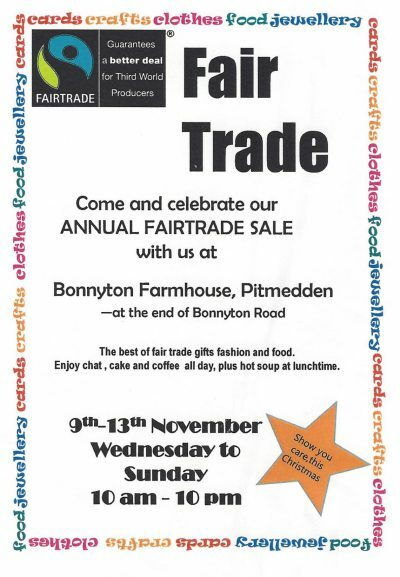 Thanks to all who have come to Bonnyton this week and made the Fairtrade sale such a huge success so far. If you have not made it yet–don’t miss out on this chance to see this wide range of Fairtrade products bringing justice to our doors this christmas. We are open from 10am till 10 pm with tea, coffee, cake and soup at lunch time on both Saturday and Sunday. 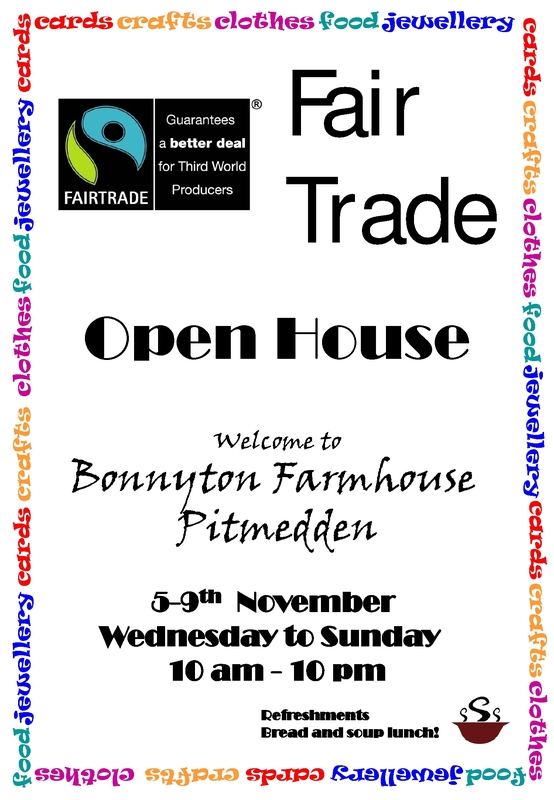 This wonderful Open House event by Anne and Richard Aspden at Bonnyton Farmhouse, at the end of Bonnyton Road, Pitmedden is back again this year. The huge array of ethical goods and crafts. Clothes, toys, gift crafts and decorations as well as fairtrade foods are all available. Come and browse or buy. Enjoy the great atmosphere with refreshments available all day. Come and kick off your Christmas festive season in style and support trade justice and fairer world.